Date: April 30, 2019 by 10am at Farmer's hall, OYSADEP office, Odo-Ona, Ibadan. Training starts by 10am prompts - 11.30am. Inauguration is 11.30 - 1.00pm. Association of Organic Agriculture Practitioners Of Nigeria - NOAN shared a post. 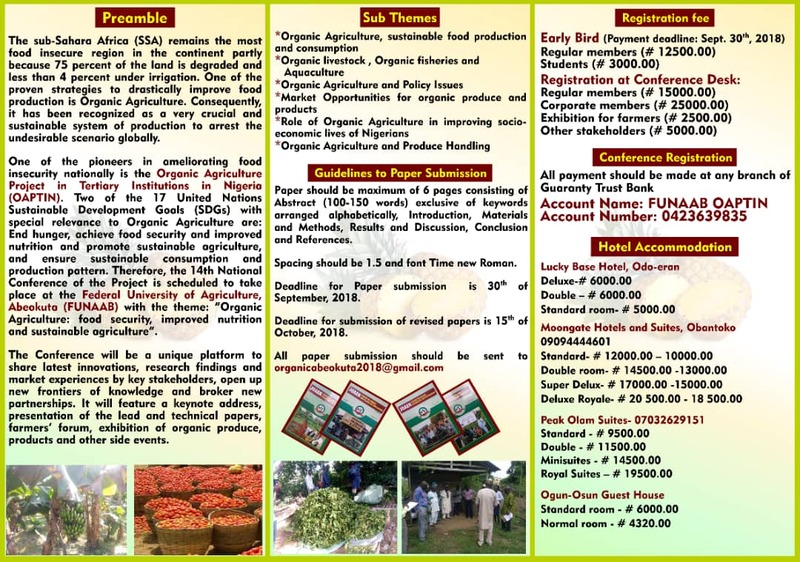 Association of Organic Agriculture Practitioners Of Nigeria - NOAN updated their cover photo. 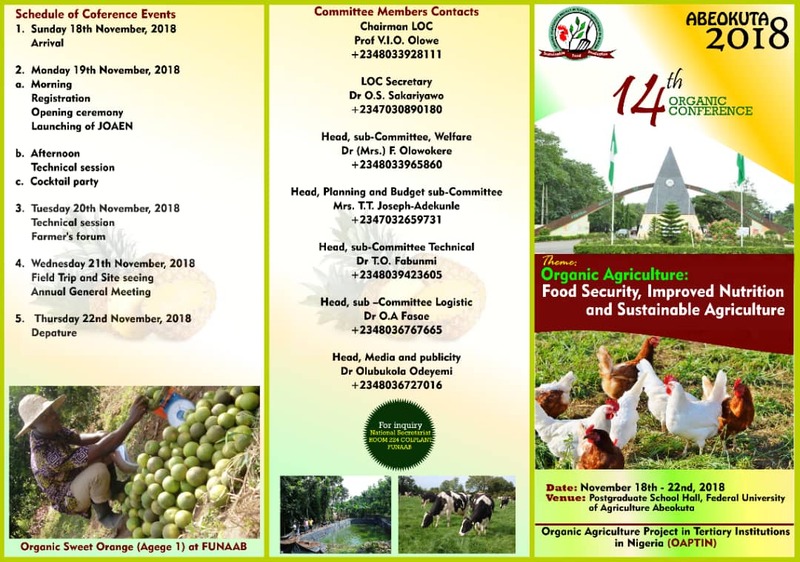 2018 National Organic Agriculture Business Summit at Lagos Airport Hotel: July 11 - 13. Association of Organic Agriculture Practitioners Of Nigeria - NOAN added 4 new photos.